Winnipeg, MB – The City of Winnipeg is celebrating the important work of our Winnipeg Police Service (WPS) and Winnipeg Fire Paramedic Service (WFPS) 911 call takers and dispatchers for National Public Safety Telecommunicators Week, April 14-20, 2019. National Public Safety Telecommunicators Week is an opportunity to recognize all emergency telecommunications personnel for their front line service to our community. “This week serves as a great opportunity to recognize all telecommunications personnel for their front line service to our communities”, said Chief Danny Smyth of the Winnipeg Police Services. “We are extremely proud of our Communications Centre members who often work under difficult pressures, and this important week provides a great opportunity for all of us to thank them for their vital work”. In times of intense personal crisis and/or emergencies within the community, WPS and WFPS 911 call takers and dispatchers are the public’s first point of contact for reaching all levels of emergency assistance, including police, fire and ambulance. The City employs 165 WPS and WFPS 911 call takers and dispatchers. In 2018, the City’s emergency telecommunications team answered approximately half a million calls from citizens. WFPS telecommunicators play a key role in the effective delivery of emergency medical services to the public. The WFPS recently introduced a new Voluntary Transport to Drop-In Shelters Protocol to improve safety for at-risk individuals. 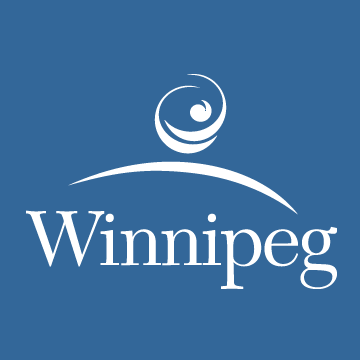 As part of the new protocol, WFPS telecommunicators connect patients with safe transportation to drop in shelters as provided by Downtown Winnipeg BIZ, Main Street Project and The Salvation Army. Advances in communication technology have provided emergency telecommunications personnel with new ways to communicate with residents. The City’s emergency telecommunicators use the “Text with 911” service to communicate with deaf, hard of hearing, or speech impaired residents during an emergency, using wireless text messaging (SMS). All incoming 911 calls are received by a WPS 911 call taker who will request the location and the nature of the emergency. The call taker will then triage the call to either the WPS or WFPS communications centre depending on the information received from the caller. Tell the 911 call taker the nature and location of the emergency as soon as they ask for it. Give the 911 call taker your phone number, so that if the call gets disconnected, they can call you back. On very rare occasions, you may get a recorded message when dialing the 911. Do not hang up. Your call will be answered as soon as a 911 call taker is available. Remain on the line and answer any questions the 911 call taker may have. This will ensure the proper resources are sent. If you accidentally dial 911, do not hang up. If you hang up, a ring-back will occur and this ties up emergency services. Stay on the line to advise the 911 call taker that you have dialed by accident, and answer any questions they may have. Do not allow children to have access to deactivated cell phones because although deactivated, these phones can still dial 911 and be used to generate false or prank calls. For additional tips and information on 911, visit Winnipeg Fire Paramedic Service – 911 Information or Winnipeg Police Service – Reporting Emergencies.